In 1919, Victaulic first disrupted the piping industry, bringing about the concept of joining pipe with a mechanical bolted coupling in order to rapidly deploy fuel and water to the Allied Forces during World War I. This powerful, industry-changing idea laid the groundwork for Victaulic to become a global leader of pipe joining technologies, developing innovative solutions specific to the needs of the mining industry with benefits for owners, engineers, installers, and maintenance personnel alike. Whether it be compressed air, water or slurry – mining infrastructure is dependent on systems that remain operational. Maintenance costs are commonly between 30-50 percent of a mine sites total operating costs and possibly even higher. Downtime due to shutdowns, equipment unavailability and change-outs can cost millions and have significant effects. For example, in one gold mine it is estimated that gold is produced at a rate of $130,000 per hour. This, in turn, makes the system downtime for both scheduled and unscheduled maintenance, and lost productivity, quite costly. Profitable mining operators are able to minimize downtime, thereby keeping production rates high. No matter how efficient the operation, routine maintenance and downtime are part of everyday life. For mine piping systems, there is only one choice that will keep downtime to an absolute minimum—Victaulic systems and engineered solutions. 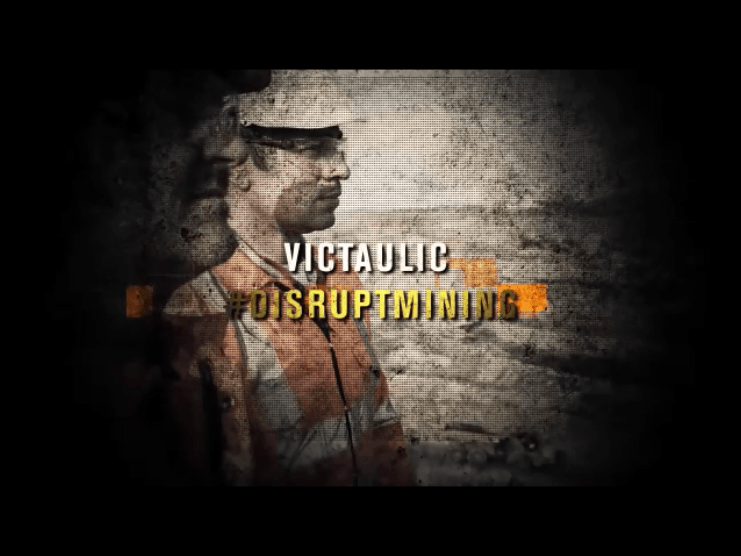 In April, Victaulic delivered a truly disruptive technology designed specifically for the mining industry. The Series 795 Knife Gate is the first slurry valve that can be installed as quickly as a coupling and maintained without removal from the system. 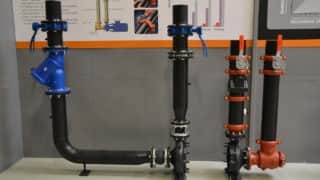 The new valve’s innovative design can reduce maintenance downtime by up to 95 percent and generate up to 60 percent savings in annual maintenance costs. Victaulic developed advanced technology that encloses all wear parts into a single seat cartridge kit, which greatly simplifies maintenance. The design allows the valve to remain installed through ongoing maintenance cycles. In fact, one Montana mining company beta testing the Series 795 saw maintenance that once required hours of downtime reduced to just minutes. The new valve improves worker safety because only one component has to be replaced versus removing the entire valve from the pipeline. This first-of-its-kind, revolutionary design eliminates the need for rigging with heavy chains and pulleys swinging over the heads of maintenance crews. At a mine in British Columbia, savings will amount to more than $2 million per year for the first Victaulic knife gate valve put into operation. Extrapolate that impact based on a mine with hundreds of valves, and for the mining industry that was forecasted to spend $4 billion globally on slurry valves from 2012-2015. Paste backfill systems for underground mining involve an intricate series of piping networks in order to fill stopes following the extraction of material for processing. These piping networks require extensive manual labor to operate and maintain a functional system, as these systems operate under extremely rigorous conditions. Currently, in order to divert paste fill from one stope to another, manual removal and reinstallation of pipe is required. This process is laborious, time consuming, and unsafe. According to data compiled by market research company Hanover Research, HDPE pipe is the fastest growing segment of pipe in the world today. Improvements in materials science and increased performance standards have made HDPE suitable for a variety of previously limited, or long-term applications, such as water and waste water. This rapidly growing pipe segment is gaining acceptance in new markets, with projected growth of approximately 13 percent annually between 2013 and 2016. HDPE presents a cost-effective solution for a variety of markets including mining, oil and gas, water and wastewater, manufacturing, and power generation. Applications include potable water, wastewater, slurry, gas, and oil to name a few. Victaulic® Refuse-to-Fuse couplings and fittings offer a quick, simple method for joining HDPE pipe and can be installed with commonly used hand tools in any weather condition. Assembled with a socket wrench, Victaulic does not require special equipment or certified crews. The components can be installed rain or shine without protective tents or covers, and joint completion time does not depend on atmospheric conditions. Victaulic Refuse-to-Fuse permits HDPE pipe to be installed in situ—even in vertical orientations and tight spaces—and, unlike fusing, the system offers visual confirmation of correct installation: Metal-to-metal bolt-pad contact confirms proper assembly. The Refuse-to-Fuse system also reduces maintenance time, as the couplings can be disassembled and removed from the pipe then easily reassembled upon completion of the work. The Victaulic Refuse-to-Fuse system offers superior performance for long-term reliability. The couplings meet or exceed the performance capabilities of HDPE pipe, including working pressure, end pull load specifications, and minimum bend radius requirements—the pipe will fail before the joints.